Recently I have been spending a lot of down-time scrolling through the endless pics on We Heart It and I found that a lot of the images that I was putting in my fashion/inspiration collection had color blocked bikinis from the brand Triangl. Of course, I had to look more into it because the style is very appealing. However, the only way the average person like me would be able to get their hands on such items would be if they sold a couple of organs. Now I don't know about you, but I'm not about the life of spending $90+ on swimwear. 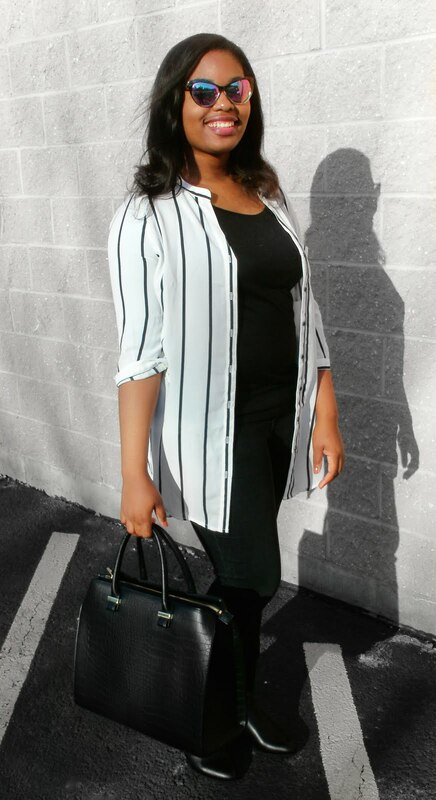 So here are a few ways to sport the color-block trend (much like the Triangl style) without breaking bank. There is a clear price disparity, here. It goes to show that by doing a little outside searching, you can find the exact same item for less. 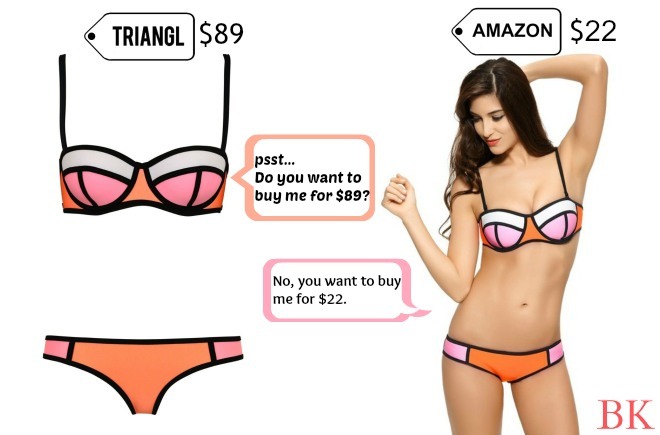 Websites like Amazon, AliExpress, and Romwe have Triangl dupes that I've seen go as low as $10 for a set! Buying separate pieces from eBay has gotten a blogger bikini sets for just $9. And if worst comes to worst and you just don't have time to browse through site after site to find the best deals, you could always just go to The Hunt. It is basically an app (and website) that you can post images of products that you want to buy but don't know where to get them. People then post "finds" when they find where you can buy your products. If you specify in the title that you want a cheap dupe for instance, people will go out their way to find it for you, as seen here. For the people who just want to enjoy the general color block style for their swimwear, I will have a later post dedicated exactly to that with outfit combinations maybe even according to body type, and all that good stuff. Trust me, it is never too early to look into swimwear. Places like F21, H&M, and Garage post big sales for swimwear typically mid-Spring online and afterward it's slim pickings in-store. So start early if you can. Do any of you guys like to start shopping for swimwear early in the Spring or do you just wait until the Summer like most people? Where is your favorite place to get your swimwear? Do you go to fast fashion places like F21 or do you prefer specific high quality brands like Triangl?